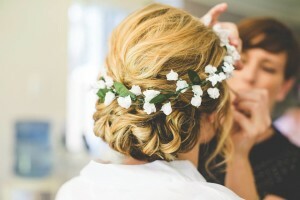 Wedding Hair and Makeup Trial Tips…..
1.If possible wear something White ,Cream or Strapless at your Trial. This will help you see how your makeup is going to look with you a similar colour to your wedding dress. 2. Bring Photos of the Wedding Gown and Hair & Makeup Styles you like. Even if you are trying to decide on 2 or 3 styles. Your hair /makeup artist will be able to help you decide. 4. It’s always good to Bring a loved one to the trial to get another opinion. 5. At your trial discuss the hair and makeup styles of the Bridesmaids,just so your stylist is aware of what she is up for on the wedding day. 6. Ask your Hair Stylist her advice on when to wash your hair. I normally advise my Brides to wash their hair the day before their Wedding Hair and Makeup Trial. I hope these Tips Help all you Gorgeous Brides To Be !